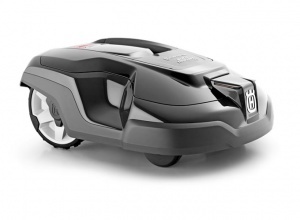 An incredibly intelligent machine that makes achieving a carpet-like finish to your lawn, effortless. Designed to work on areas up to 4000 m² and with slopes up to 45 percent, this is a machine that can cope with complex lawns & obstacles. 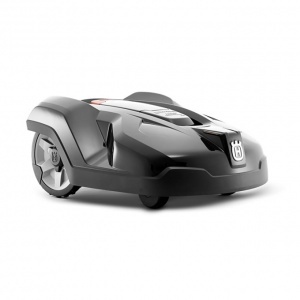 Cutting the grass a small amount but as often as possible is what sets the finish that Husqvarna's automowers can give you apart from mowing the lawn yourself. The strong carbon steel blades have a razor-like finish and are mounted on a robust cutting disc system that cuts the grass gently and in all directions so that moss growth is prevented and the grass is strong. Due to the free movement pattern the 440 uses, a carpet-like finish or lush, green grass is perfectly feasible. 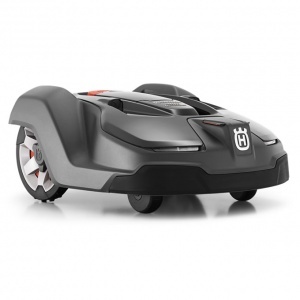 Clever innovations such as the ability for the automower to detect narrow passages and find its way through even the smallest gaps, while varying its route to avoid marking the lawn, set Husqvarna's range out from the crowd. 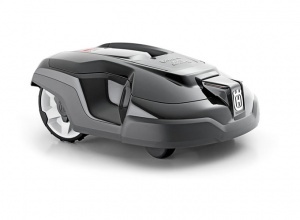 This particular model has a spot cutting mode, which means you can move garden furniture, turn on spot cutting mode and have your automower cut in spirals from where you place it, allowing it to mow longer grass before returning to its normal mowing pattern. 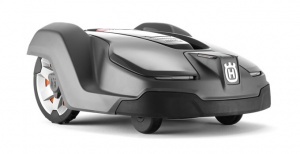 When the battery begins to run low, this mower automatically returns to its charging station with no human interaction. Thanks to the dual guide wires for this model, searching times are reduced, particularly for complex areas. Being designed for the harsh Nordic climate, these machines can mow in all weathers, around the clock. Robotic mowers are superbly reliable, not only giving you a pristine finish to your garden but requiring minimal assistance and maintenance. They offer low noise running with low energy consumption and no direct emissions, working at a fraction of the cost compared to conventional lawn mowers. If security is a concern, you can use the customisable anti-theft alarm and PIN code lock, and lift and tilt sensors act to stop the cutting blades should any anomalies be detected. As a premium machine the cut height is adjustable electronically via the settings menu. This menu can also be used to specify working times and many other aspects of your automower's operation. Please note: For installation you will need a Husqvarna installation kit in addition to this machine. 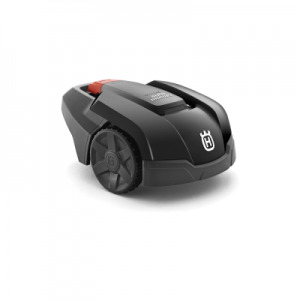 This robotic mower is ideal for users with smaller, flatter lawns, looking to experience the convenient technology of Husqvarna's automower technology. 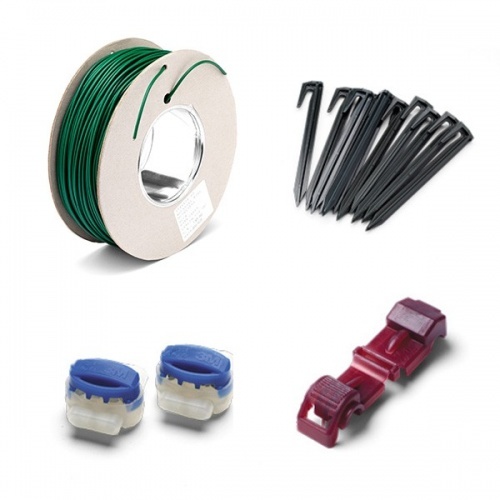 Easy to install, operate and maintain.